Bob Hill Jersey Blog: Jersey's Dean--- The Canterbury Agreement---Appeasement/ Sell Out. Jersey's Dean--- The Canterbury Agreement---Appeasement/ Sell Out. On Tuesday in line with the announcement in January and at the fifth attempt the Archbishop of Canterbury, the Bishop of Winchester, the Bishop of Dover and each of the Deans of Jersey and Guernsey signed an Agreement to give effect to the interim oversight arrangements. It is not known what the actual wording is but apparently it will allow for the Bishop of Dover to have temporary Episcopal oversight of Jersey and Guernsey and ending the Winchester link. There are a number of issues arising from the Agreement and one must ask why it was deemed necessary and is it not hypercritical? On one hand the Church of England preaches the virtue of loving thy neighbour and seeking peace and conciliation yet it has two of its senior members not only acting as spoilt children by not practising what they preach but causing a 500 year split from Winchester without any thought of the thousands of ordinary church goers and the general public whose offerings and taxes pay for their keep and salaries. Who are the everyone concerned, it would be unforgivable if they just happened to be the five people signing the Agreement. What consultation has there been with the congregations within the Diocese, don’t their views count for anything? 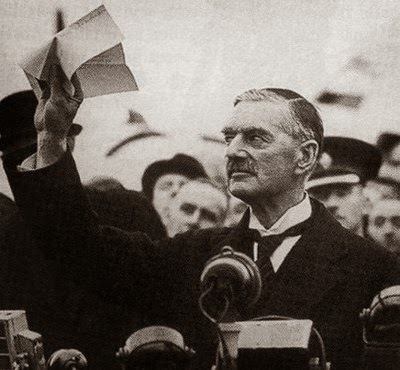 To many readers the Agreement has more to do with appeasement than leadership. It is a sell out which is akin to Neville Chamberlain’s “Peace in Our Time remark.” Does the Archbishop not see the harm being caused by the split and also the message going out that personalities are more important than principles? There are a number of outstanding issues which include the completion of the Gladwin and Steel Investigations. Does the Agreement transfer the oversight of the Visitation to Bishop Trevor? What about the promise to help HG and for her to give her account of events. What about the promised transcript following my meeting with Dame Heather. What about the Safeguarding issues, does Jersey follow the Canons Law or the Church of England Safeguarding Policies? Are these issues included in the Agreement? One would have hoped that in the spirit of openness and transparency the Agreement would have been published at the time the Archbishop of Canterbury circulated his press release. I have emailed both Bishops requesting a copy but do not expect a reply as they have ignored my previous emails relating to other issues. We may not know what is in the Agreement but there is one person who is overjoyed with its contents and that’s the Dean who can’t wait to work with Bishop Trevor. However the Dean seems to be oblivious to the fact that the split from Winchester and the hundreds of thousands of pounds spent on the Visitation and other related issues stem from his handling of HG’s complaint against a Church Warden in 2008. Also he was party to HG's arrest and deportation from Jersey and left destitute in England. In his interview on Radio Jersey on Tuesday the Dean asks that we pray for Bishop Trevor but conveniently ignores HG who is the real victim. Where is love thy neighbour and peace and conciliation, where is the Christianity? On BBC Radio Jersey on Tuesday morning Matthew Price interviewed the Dean about the Agreement which can be heard by clicking here. I am grateful to BBC Radio Jersey for the link and inform readers that I shall be appearing on Radio Jersey after the 8am news on Sunday morning to discuss the events over the past year I understand that the Bishop of Winchester has been invited to participate, I hope he will accept the invitation. You can't stop talking about this HG but then again if you keep on talking rubbish about her being deported in her pyjamas then don't expect much interest. How sad, but then again there's none so blind as those who will not see. How about a comment on the reasons for the 500 year old split? I think there are many others who might share your view. Very good blog. One additional thing - there is yet another commission on Jersey / UK Anglican matters coming along. Thanks Tony, yes you are correct and it makes one wonder what was the point of the Gladwin review. Yes, and I also wonder why the Reports are withheld. Officially, I believe they are unfinished. Also, I understand from a good source that reconciliation with Winchester is very unlikely. When I saw Dame Heather last October she said she had almost completed her report even though she had not seen HG. It is getting to the stage that one just does not know what to believe with anything relating to Winchester and the Church of England. I think you are right about no reconciliation with Winchester as Jersey will be looking to have its own Bishop. Thanks for the specific reference to the Dean's interview. I have amended my blog link. Looking forward to your "appearance" on Sunday morning and do hope Bishop Tim turns up. Should make for great radio. As you say, we cannot afford to forget, as the Church seems to want, that the crux of all of this is the abominable treatment meted out to HG (who was most definitely deported in her "night attire", call it what you will). This is much more important on the spiritual plane than any constitutional spat between branches of an institution whose purported mission is to cultivate love among its flock and beyond. I don't think anyone will put any money on the Bishop turning up. It is evident that HG's complaint has been taken as an opportunity for the Dean and Bishop Tim to settle old scores. So religion, safeguarding and HG become irrelevant. Credit to Matthew Price for pointing out to the disgraced Dean that he HAS NOT been cleared. The only people who have exonerated the Dean are his friend Philip Bailhache and Philip Bailhache's friend ITV/CTV. Philip Bailhache, and Bob Key, have obliterated 500 years of history rather than take responsibility for Bob Key's reported failings over an abuse complaint. This alone shows us that nothing has changed in Jersey despite the horrors committed at Haut de la Garenne and elsewhere. Furthermore Constable Crowcroft's proposition will be debated in two weeks time concerning an elected speaker for the parliament. Let's hear what Philip Bailhache has to say about the importance of tradition during that debate! Yes Matthew Price was right to challenge the Dean's claim that he has been cleared. The Bishop has stated that no disciplinary action is being taken. However on being re-instated the Dean apologised for the way he handled HG's complaint the fact that no disciplinary action is being taken probably has much more to do with politics than anything else. It is disappointing that the Bailhache brothers who are both judges should interpret the fact that no disciplinary action against the Dean means he has been exonerated. They should know better and it will be interesting to hear what Senator Bailhache has to say in during the debate on Connetable Crowcroft's proposition as he appears to have done nothing to prevent the split between Jersey and Winchester. Just so they reign ! Acting like Nazis may be a bit strong but both appear to have a great deal of influence. Whatever the most accurate description of their behaviour may be, there is nothing Christian I can detect from it. They should read your excellent blog and give thought to how morality might play an important role in the treatment of HG. A church hierarchy so detached from the Christian Spirit and concern for the innocent runs a risk of complete moral irrelevance. How have they earned any legitimate respect for their alleged Christian mission, when politics plays the dominant role? Or, if their mission is more that of a purely social & political club, can they continue to expect happily obliging tax-payer support? The Dean did apologize but is now saying he believes he did ‘absolutely nothing wrong’. ! There is opposition within the congregation to the split from Winchester and the current leadership of the Church in Jersey - whether it is in the majority or minority is unknown, as opinions have never been canvassed let alone a democratic vote taken. Dissent is stifled to the extent of engendering fear of speaking out. The truth of why the split is necessary has never been explained. Those who would like to know the truth are being told by the clergy to “take it on trust” - those exact words apparently at a recent synod. That same discredited phrase so synonymous with the decades of pro-longed, concealed, criminal child abuse in the Church is deemed appropriate once more. ‘…full support of everyone concerned’ you're having a laugh Welby. Precisely! For myself, I am not sure if the split is good but if it enables the Church to do what it should and minster to people then I support it. Yes but if only. Bishop Trevor is apparently known as Tricky Trevor because he is able to balance on the thinnest of fences and it won’t be long before he is completely in the Dean’s pocket who has stated that he can’t wait to work with him and is asking us to pray for him. Enjoyed your very forthright interview on Radio Jersey this morning, any chance of publishing a link to it? Thank you, I hope to publish the interview tomorrow.